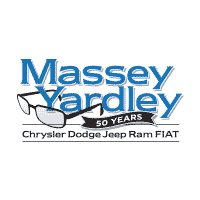 Massey Yardley: A Plantation, FL New & Used Chrysler, Dodge, Jeep, Ram, and FIAT Dealership, Serving Pembroke Pines & Beyond! We, at Massey Yardley, believe that we are a car dealership made up of friendly and dedicated people who are ready to meet the customer’s needs. We believe in conducting ourselves with honesty and integrity in all aspects of our business, and you will notice the difference as soon as you set foot in our Chrysler, Dodge, Jeep, Ram, and FIAT showroom in Plantation, FL. Our knowledgeable and personable staff in each of our departments are ready to help you with all of your vehicle needs. We strive to ensure our customers leave our new and used car dealership happy with their service, with their deal, and with us. That’s how we create loyal customers in the greater Hollywood, FL, Pembroke Pines and Ft. Lauderdale area. Whether you are looking for a new Dodge Charger, Chrysler 200, Jeep Cherokee, Ram 1500 or quality used cars for sale in Plantation, our wide selection of makes, models, and trims in our inventory is sure to have a vehicle that will suit your daily needs. Whether you need a versatile, powerful, efficient, or stylish car, truck or SUV, our team is ready to assist you in finding your perfect match! We welcome all of our customers in the Pembroke Pines, Ft. Lauderdale, and Hollywood, FL area to do their research to get an idea of the kind of vehicle they want, then to visit us to take your favorite models for a test drive! Do you know exactly which vehicle you want? Give our Plantation, FL car financing team a shout, and our finance gurus will be more than happy to put their expert knowledge to the test. You can finely tune and tailor your car loan or Chrysler, Dodge, Jeep, Ram, or FIAT lease to suit your budget with us, so you can drive away happy with your plan. Financing and leasing your new vehicle has never been easier! If it’s time for regular maintenance, we also have a fully-equipped Chrysler, Dodge, Jeep, Ram, and FIAT auto service and car parts center that can help you maintain your vehicle’s performance. Like any other machine, your vehicle needs regular upkeep and repairs to keep it running strong. Our service and repair department in Plantation can handle any repair or routine maintenance you need completed, just schedule an appointment! You can rest assured that we use only genuine Chrysler, Dodge, Jeep, Ram, and FIAT parts and accessories when working on your vehicle. If you are ready to learn more, give us a call, contact us online, or visit us in person today. We warmly welcome all of our guests from Fort Lauderdale, Hollywood, and Pembroke Pines, FL to learn more about what we can do for you. See you soon!